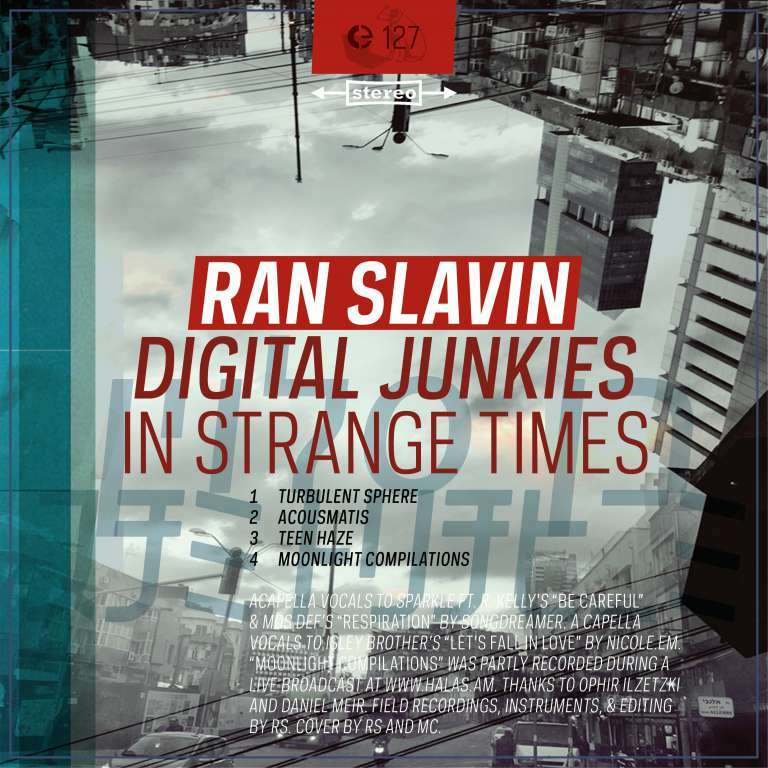 Ran Slavin’s 8th release in Crónica ranges from the subtle, delicate and personal to the almost unpredictable. Slavin’s music fluidly moves from texture-techno to dirty-ambient, from field recording to R&B and lounge, in a hypnotic spiralling soundtrack with virtual guest vocalists Songdreamer and Nicole.em. The 59-minute digital LP is comprised of 4 tracks with durations ranging from 1.5 minutes to the 41 minute sonic universe of Moonlight Compilation, that encompasses a multitude of scenes and divergent paths within them. A capella vocals to Sparkle ft. R. Kelly’s Be Careful & Mos Def’s Respiration by Songdreamer. A capella vocals to Isley Brother’s Let’s Fall in Love by Nicole.em. Moonlight Compilations was partly recorded during a live broadcast on www.halas.am. Thanks to Ophir Ilzetzki and Daniel Meir. Field recordings, instruments, and editing by RS. Cover by RS and MC.